As a teenager Poppy Comer fell in with the wrong crowd on Merseyside and became known to the police by the age of 15. Times were tough for the Liverpudlian, who was excluded from school and appeared to have no future. "I was in a pretty bad place at the time," Poppy says. "I got asked to leave school at Year 10. I thought I wasn't going to go anywhere else in life." Fortunately, opportunity knocked in the form of Everton Free School, who listened to Poppy's problems and gave her the opportunity to channel her love of football in a positive way. "Everton helped me massively. I spoke to a few of the staff at Everton Free School and told them my problems and they supported me all the way through." 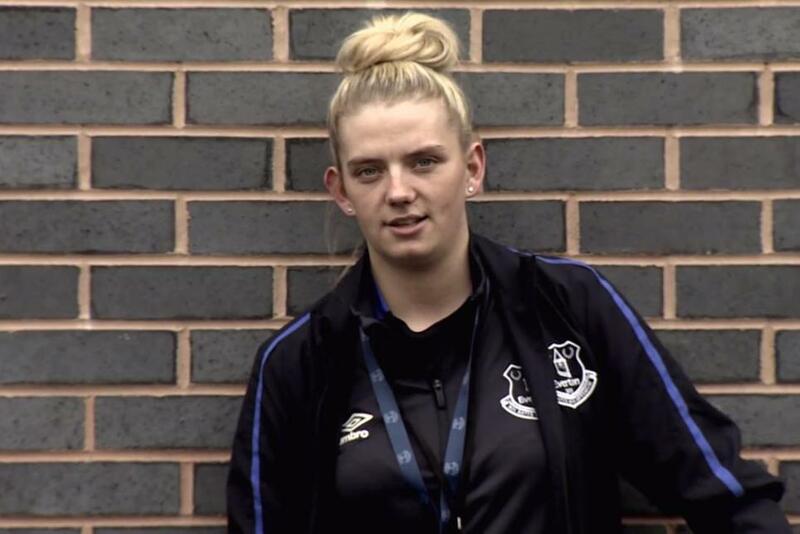 After getting six GCSEs, Poppy is on a new level of her development, as a lead coach for Everton in the Community, working on the Premier League's Girls Football Programme, which helps females aged 11 and over to take part in the sport in a local community setting. Her role now means Poppy can not only repay the trust put in her, but also ensure that football can benefit the next generation of women in the community, in the same way that it helped her. "I'm getting girls who've never played football and think they can't play actually coming to a football session week in week out, seeing the difference in them by the end of the season," she says. "They thought they'd never be able to play and they come to you and thank you; it's amazing, really."